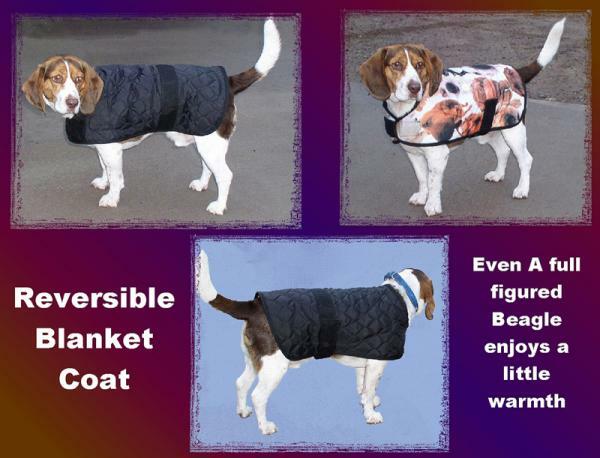 The Reversible Blanket Coat is made with a layer of quilted, poly filled, black nylon fabric and soft fleece for added warmth and comfort. The adjustable chest and girth straps are 2” wide, heavyweight polypropylene web (narrower webbing on the XS) with Hook and Loop, so it fits securely around your dog. When you are choosing the color, you are choosing the color for the fleece (the quilted side is always black).